Grand Theft Auto V is an amazing piece of technology. I could dedicate a whole column to talking about how Rockstar's engine is so far ahead of the rest of the industry it's embarrassing. Yes, Sleeping Dogs, Mafia 2, Saints Row, and the other open-city games all do kind of the same thing, but Rockstar's tech has always felt like they were an entire graphics generation ahead of the others. Not only does GTA V have the most lavishly detailed world ever realized in a video game, but Rockstar manages to make it look easy to give the player free reign over that much data. On top of this, the Hollywood production values are amazing. There are probably three movies somewhere in here. So what really drives me crazy about GTA V, and Rockstar in particular, is how they manage to reach these amazing heights in environment design and then completely whiff on the most fundamental aspects of game development. 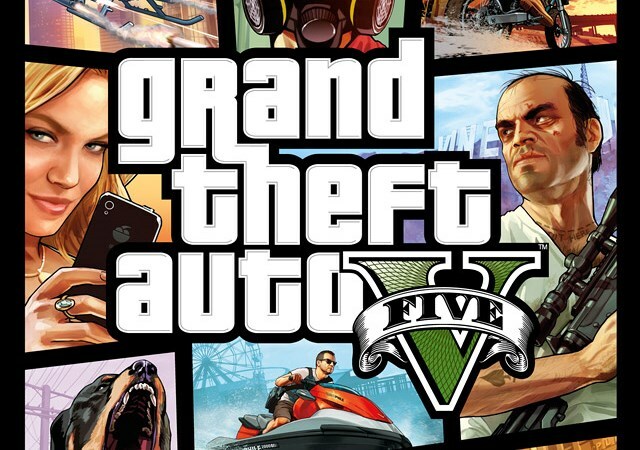 Let's start by comparing GTA V to the Batman: Arkham games. In the Arkham games, after the introduction is done, the game throws you into a very simple combat scenario against a small group of foes. The story dialog ends and you're given a very short, easy-to-read box explaining how to attack. The box remains until you've successfully done a couple of attacks. Then you get another short, clear box telling you how to counter. The game makes it easy for you to learn and provides minimal distractions while you try to work out the basic controls. A few minutes later you get one more reminder of how this stuff works, just to make sure you've mastered the fundamentals. Once you have them down, the game begins layering new ideas on top and combining them in different ways. Teaching the player how to play the game is one of the most important jobs of a game designer. In a movie, if I don't understand the introduction I can still watch the rest of the movie and try to figure it out as I go. But if I don't learn how to play a game then I might find myself unable to proceed. GTA V (and several of the previous versions of the game) bungle this basic tutorial business so hard it's shocking. One example of many: There's a mission where you are chasing a truck that's pulling a boat. You're driving a sports car. You're blasting through the streets at extreme speeds, weaving in and out of traffic. Then the game decides this is a great time to teach you how to drive and shoot at the same time. A tiny little box of text appears way up in the upper-left corner of the screen. It's packed with directions, including the three different buttons you need to press to make this happen. That box vanishes after a couple of seconds and is replaced with another box with different information. So you're trying to read timed popups way in the far corner of the screen. And you're also trying to watch the road, because a crash at this speed can result in a mission failure.